Using video has many advantages. 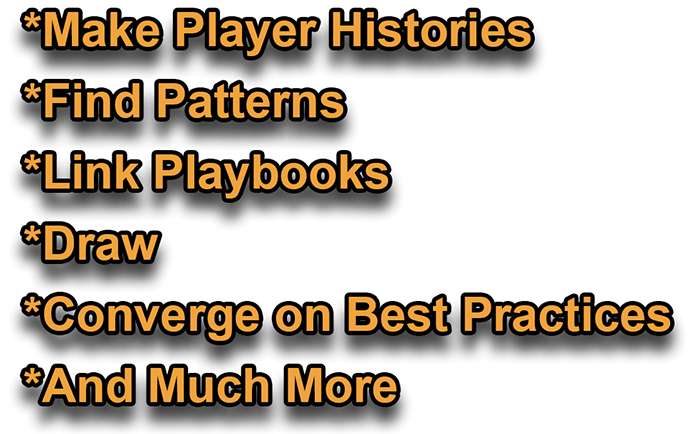 It can capture and provide rich detail like nothing else on: technique, practice, context, comparing and contrasting, and much more. It is particularly good at capturing change and development over time. Whether for research, sports, medicine, teacher training, or legal work, video is a must in today's competitive landscape. 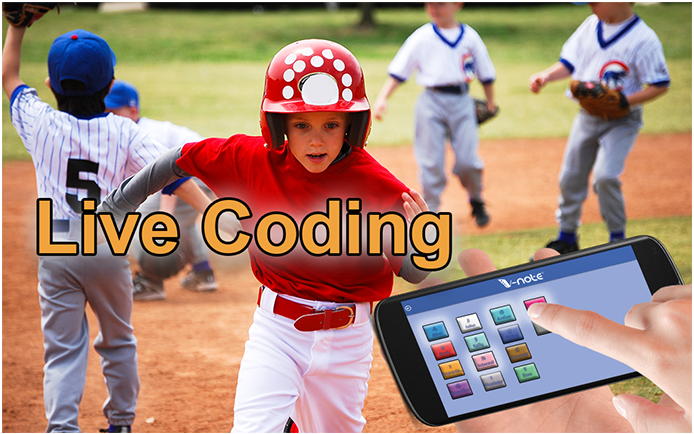 Video is not without its problems, however; it can be difficult to work with and analyze. When you have more than just a few minutes, it can be hard to find things - even with notes. Also, video is not persistent; it just keeps on playing and doesn't stick around and let you point at it easily. It can also be hard to share videos and your related insights with others. Although it's great to capture those magic moments on video, if you can't share them effectively and analyze their meaning, their impact can be reduced or lost. Is It Really Free? How Do You Make Money? Yes, V-Note is free forever. No expiration or time limits. We even give you one half hour of collaboration space free forever. 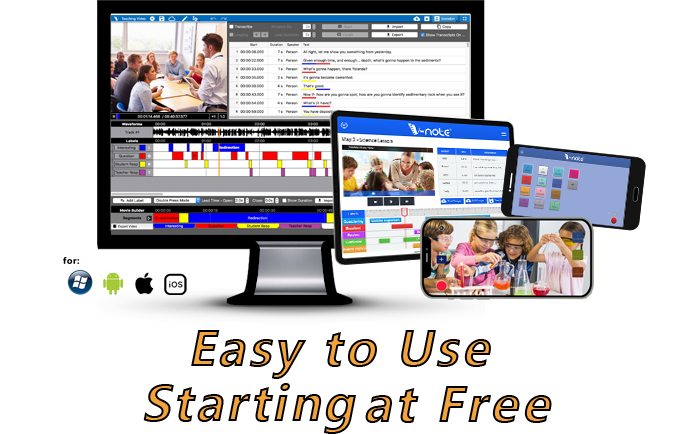 This space works like a bucket; you can upload a 25 minute video today and share with the whole class, colleagues, or whomever. When you’re finished, you can replace the video. Need more collaboration space? 5 hours to stream and collaborate on starts at just $5 per month. Users can share projects with their classes and teams. Some researchers even publish share codes in journal articles to share raw data and analysis methods with colleagues. 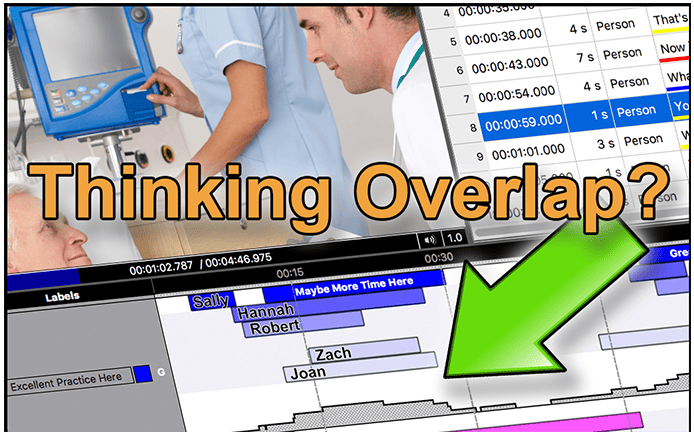 Analyzing together collaboratively is an extremely powerful tool for generating powerful and potentially ground-breaking quantitative and qualitative results. 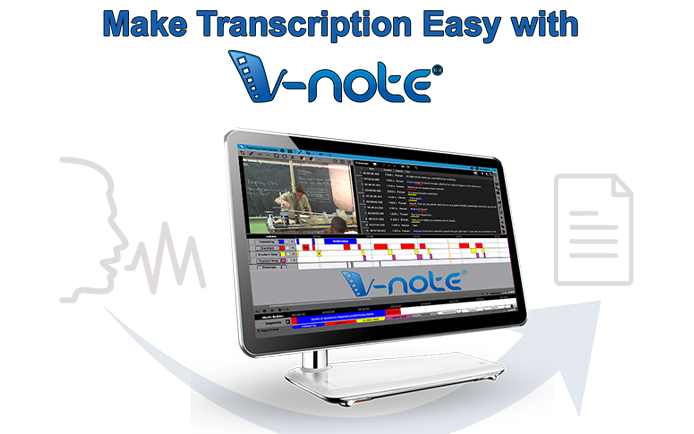 Only V-Note makes it simple to analyze videos and get the most out of them. 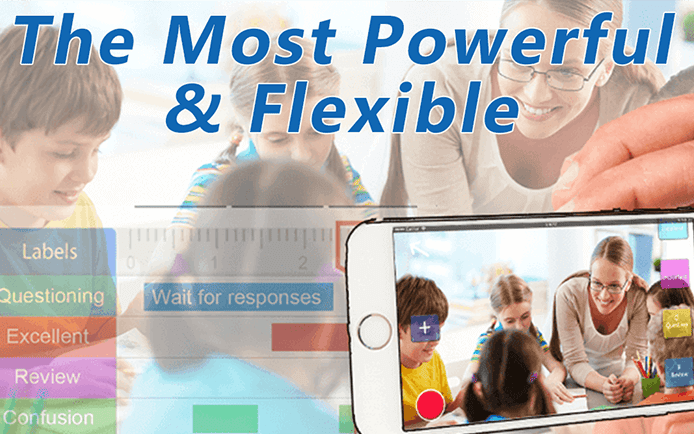 V-Note Video Analysis Software for MacOS®, Windows®, Android®, iPhone®, and iPad® was designed by... (Read More) educator-researchers at R-1 universities to maximize the benefits of working with video and to overcome the problematic aspects of its use in classes and research. V-Note lets you quickly and easily gain a 'bird's eye view' of your videos. Imagine seeing and comparing everyone's thoughts around the weakest or best practices or techniques. V-Note's cloud-based sharing also lets you quickly see what other stakeholders see. 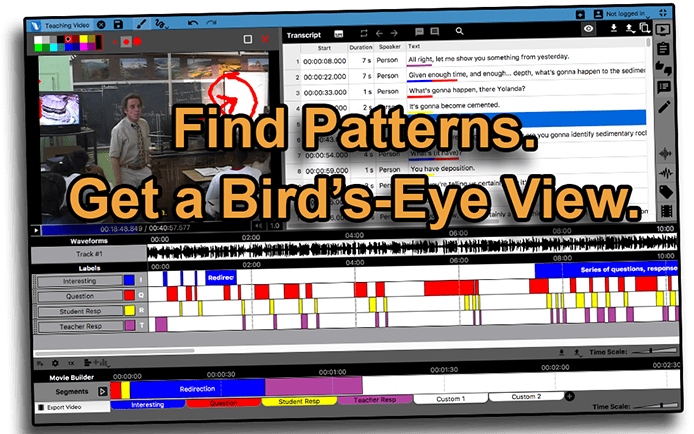 And by finding patterns together, (take a look at patterns in this teacher's questions or this political debate, for example) V-Note can help foster convergent thinking and higher standards like no other video analysis tool. Find Out What Others See When They Watch the Same Video. Stream and Share Videos and Timelines and Transcripts with Others. Today and Get Started for Free! 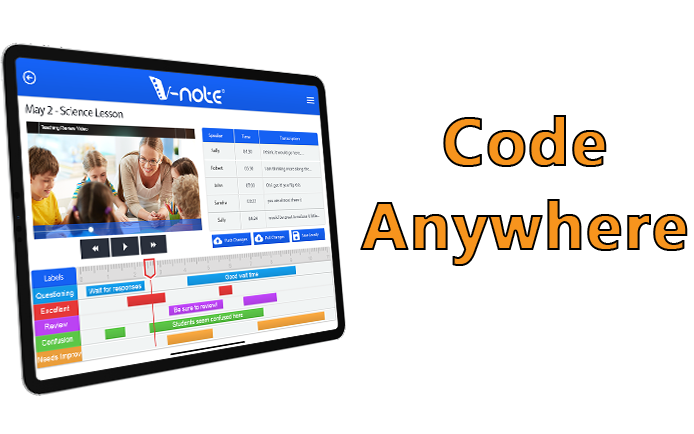 V-Note works for Windows® and MacOS®. Just click to download. Add your video and get going for Free!